Vincent Van Gogh is perhaps one of the most famous artists in the world. His work is instantly recognizable and even if you aren’t an art fan chances are pretty good you enjoy at least one of his pieces. He was also an incredibly prolific artist with an estimated 2,100 pieces! These days his work can be found in museums all over the world and you can still visit many of the places he made famous in his paintings. Keep reading to find out where to go for Van Gogh. First off, where can you see his art? The Van Gogh Museum in Amsterdam has the largest collection of his work in the world. Though you won’t find many of his most famous paintings there. To see Cafe Terrace at Night, one of my personal favorites you will need to go to the Kröller-Müller Museum in Otterlo in the Netherlands. It also happens to be home to the second largest collection of his work in the world. Meanwhile, The Starry Night, his most famous painting is part of a permanent collection at the Museum of Modern Art in New York City. Seriously impressive list! If you’re heading to any of these countries and want to see what they have and where you can see them head over to Van Gogh Gallery, they’ve got an AMAZING list (that has just ballooned my Bucket List). 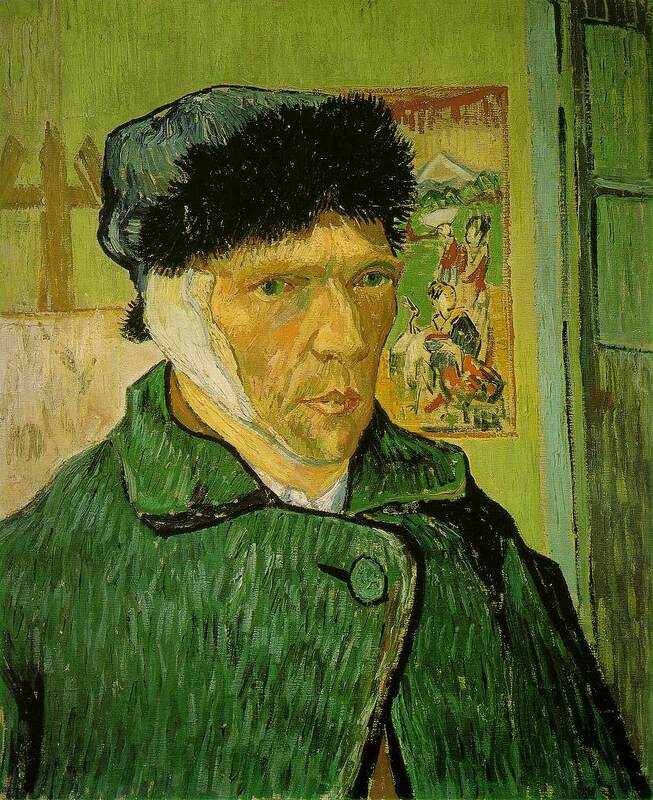 After Van Gogh had his ear incident he was admitted to the psychiatry hospital at Saint Paul de Mausole Monastery in Saint-Rémy-de-Provence. Here he completed several of his most famous pieces including; Starry Night, Irises, and Wheat Field with Cypresses. Today you can visit the Monastery and see a recreation of his room. It’s open all year long except between January 1st and February 7th. It is still a psychiatric hospital today. Not far from Saint-Rémy-de-Provence is Arles, which is where Van Gogh created 300 paintings and drawings. They include; Starry Night Over the Rhone, Cafe Terrace at Night, The Yellow House, Bedroom in Arles, and The Night Cafe. Auvers-sur-Oise is the final resting place of Vincent Van Gogh and also where his last artwork comes from. Here he painted The Church at Auvers, Daubigney’s Garden (thought to be his last finished painting), and many others. You can also visit his grave in Auvers-sur-Oise.